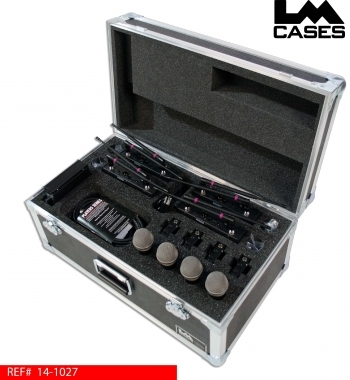 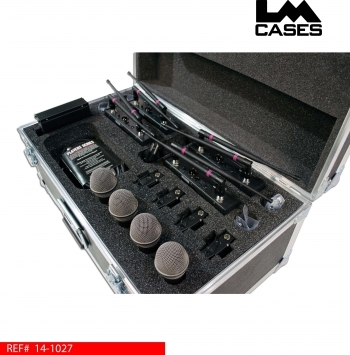 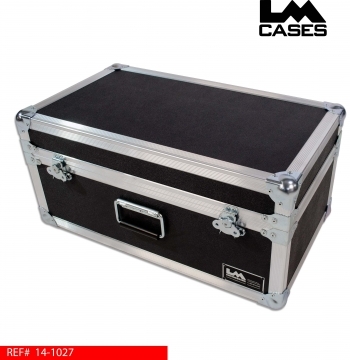 This case was designed to hold four Electro Voice R-300 wireless systems compromised of receivers, hand held microphones, lavaliere microphones, batteries and cables. All components are held in a custom CNC cut foam insert. The exterior case is built out of 1/4 plywood laminated with black ABS plastic and feature surface mounted handles and latches.